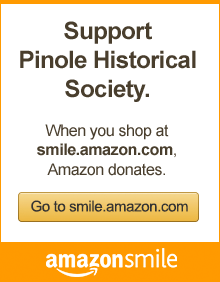 The Pinole Historical Society promotes awareness and appreciation of history through preservation and education, and chronicles the city’s heritage for current and future generations. How many patrons will the theater hold? When will the new ball fields be constructed? What are the special features of the classrooms and labs? Bring your questions about the soon-to-be-open Pinole Valley High School to the Pinole Historical Society’s May 3 meeting from 6:30 to 8 p.m. in conference rooms 2A and 2B of the Kaiser Permanente Medical Office Building, 1301 Pinole Valley Road. Representatives from WLC Architects and Lathrop Construction will answer all of your questions, and photographer Earl Combs is preparing a special video presentation just for this occasion. The public is invited to this FREE event. As always, refreshments will be served. A graduating Pinole Valley High School student will be the recipient of the first George R. Vincent History Scholarship at the high school’ss May 30 awards ceremony. Because of the support from the community through their memberships, book purchases, and donations, the society is able to make this award in the name of George Vincent, our co-founder, historian, author, tour guide, and much-beloved teacher to generations of Pinole residents. The Pinole Historical Society will present quarterly programs on these dates in 2019. Members and guests are welcome to attend from 6:30 to 8 p.m. in conference rooms 2A and 2B of the Kaiser Permanente Medical Office Building, 1301 Pinole Valley Road. • Friday, September 6: The history of 610 Quinan Street. • Friday, November 1: Program to be announced. Susan Fernandez, great-granddaughter of Bernardo Fernandez, one of the founders of Pinole, presents “The Life and Times of Bernardo Fernandez” in a 2017 program for the Pinole Historical Society. Listen to the program here. 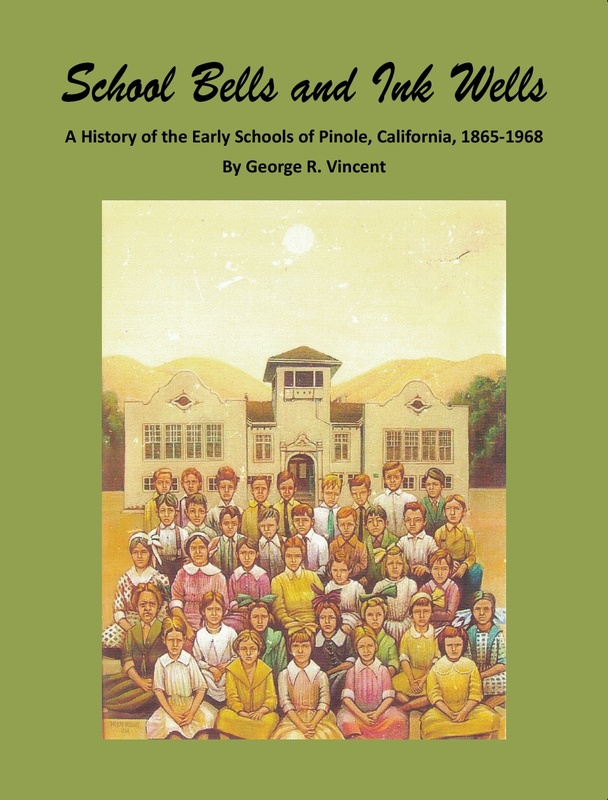 Pinole Historical Society co-founder and historian George Vincent’s long-awaited book, “School Bells and Ink Wells: a History of the Early Schools of Pinole, 1865-1968,” is available for sale. The 124-page book, featuring more than 150 photos, some never-before seen, chronicles the history of the Fitzgerald Ranch School (1865-1886), Plaza School (1886-1906), and Pinole-Hercules School #1 (1906-1966). 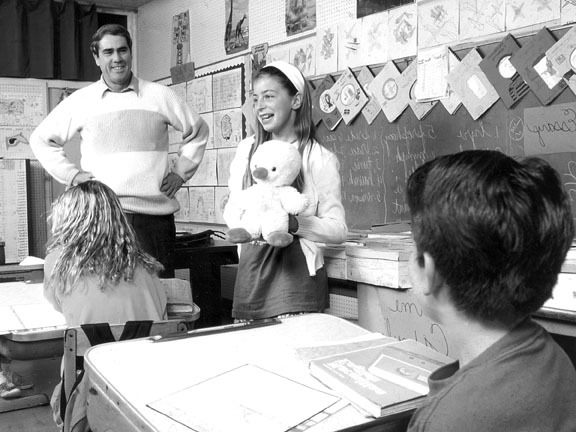 The book is filled with stories and amusing anecdotes, and anyone who went to school in Pinole will treasure this fond memory of their early education. It brings to light the workings and people that made the Pinole-Hercules Union School District the envy of surrounding townships. Hill School alumni are fiercely loyal to their “green school” that stood atop Samuel Street in Pinole until 1968. There is a shared pride of camaraderie understood only by those who bore the trials of the daily uphill climb to the creaking stairs and dark halls haunted by the strict stares of lurking teachers. CLICK HERE TO ORDER THE BOOK(S) ($30, including sales tax and postage). Fill out the order form and mail it to George Vincent. He will mail the book to you. 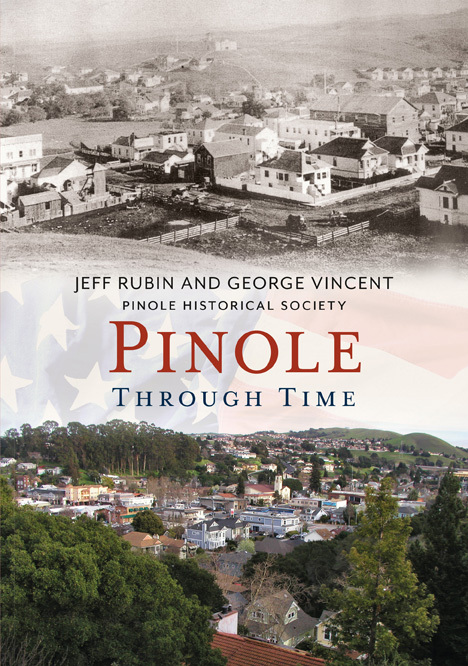 The latest book by the acclaimed new America Through Time series published by Fonthill Media, Pinole Through Time contains 192 old and new comparative photographs showing how Pinole changed through the 19th and 20th centuries and into the 21st century. There are detailed and extensive captions packed with historical information accompanying each photograph. 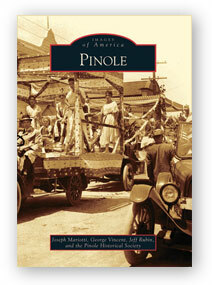 Pinole Through Time and all of our other history books about Contra Costa County cities are on sale at the Pinole Farmers’ Market, via mail order, and at PHS quarterly meetings. These Pinole Historical Society programs may now be viewed on your computer via the city’s website. To watch these programs on your computer, go to the City of Pinole’s website. Scroll down to PINOLE HISTORY. Youâ€™ll find these and other programs about Pinoleâ€™s history. Also, Clyde Maskal made a 13-minute slideshow of the 2012 Veterans Day Memorial and Flag Retirement Ceremony from many of the photos he took at the event. Click here to view Clyde’s slide show. KGO radio reporter Jennifer Jones Lee interviewed PHS Vice President Jeff Rubin to discover the origin of the word “Pinole.” Listen to the segment here. Wells Fargo Bank unveiled its mural of Pinole’s history on July 25, 2013, in a ceremony that featured descendants of prominent Pinole residents in the mural in a video, talking about their families and their contributions to the cityâ€™s history. Mike and Michele LeFebvre, son and daughter of Lawrence “Big Red” LeFebvre, manager of the Pinole Merchants baseball team, and Susan Fernandez, great-granddaughter of Bernardo Fernandez, one of the founders of Pinole, were featured in the video produced by the bankâ€™s communications department. All three attended the event. The 12-foot by 4-foot mural was installed on the back wall of the bank at 1374 Fitzgerald Drive. Pinole Historical Society President Marcia Kalapus and Vice President Jeff Rubin, along with Councilman Roy Swearingen, Chamber of Commerce President Dina Rosales, and Wells Fargo Bank Regional President Micky Randhawa, made brief remarks before the nearly six-minute video was shown to attendees. Click here to view the Pinole Mural video on your computer. The video is also being shown on Pinole Community TV, channel 28. The mural includes images of a map of the El Rancho Pinole land grant, the Martinez Adobe, downtown Pinole in the 1920s, Lawrence “Big Red” LeFebvre, who managed the Pinole Merchants baseball team, the Pinole-Hercules School (the Old School), the Pinole Fire Department (and Chief Wallace “Pepper” Martin) in the early 1950s, the 1904 class of the Plaza School (featuring teacher Frances Ellerhorst), the original Santa Fe depot, Hercules Powder Works employees, Bernardo Fernandez, and the seal of the city of Pinole. 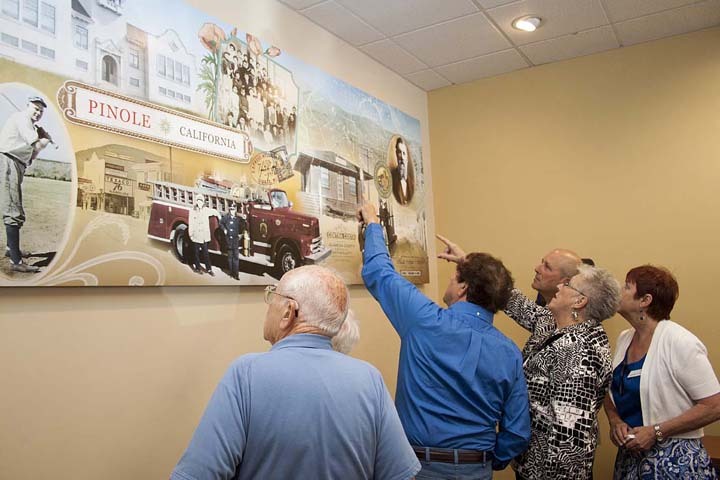 Wells Fargo Bank welcomes visitors to its Pinole branch to view the mural, which is accompanied by a legend that explains the history of each image. This mural is one of many in Wells Fargo’s Community Mural Program, which provides a unique visual enhancement to the customer experience in the bank's branches. Designed to be a snapshot of Turn-of-the[Last]-Century America, historic images are chosen that convey a sense of history, tradition, stability, longevity, optimism, and progress. A typical mural design combines Wells Fargo images and local images that reflect the history and diversity of the community. An accompanying legend describes each historical image used in the mural, and credits the source. 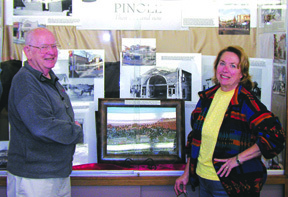 The Pinole Historical Society provided Wells Fargo with all of the local photos and images. In return, Wells Fargo donated $500 to the Pinole Historical Society, for which we are very grateful. Through the generosity of the Pinole Library, the Pinole Historical society has two exhibits at the library, each giving visitors different information on the history of our city. • Pinole . . . Then and Now features photos from the society’s archives of buildings that existed at the turn of the 20th century, and recent photos of buildings on those sites today. • The National Preservation Month exhibit features artifacts, photos, and memorabilia from Pinole’s history. Library hours are Monday (10 a.m. to 6 p.m.), Wednesday (2 to 8 p.m.), Friday (noon to 5 p.m.), and Saturday (noon to 5 p.m.). 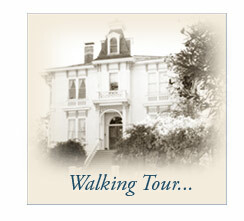 The PHS thanks supporter Tom Parsons, who was kind enough to make Google Map of the Pinole Historic Walking Tour. Check out Tom’s handiwork here. The PHS Board of Directors meets on the second Wednesday of every month from 6:30 to 8 p.m. at the Pinole Senior Center. At these meetings the board discusses policies and procedures, receives reports, and plans events and programs. The public is welcome at these meetings and may speak on any item on the agenda. There is also a public-comment time at the beginning of each meeting for people to speak on items not on the agenda. See the new Pinole Police History page on the city’s website. You will learn about Wild-West shootouts, cattle drives downtown, 1920s gangsters, World War II sabotage, Fiesta Del Pinole riots, and other historical events you had no idea had occurred! Learn about Pinole’s first lawmen, like saloon-owning Constable John Collins and rough-and-tumble Arthur McDonald, who was killed during a shootout in 1929. See how the Pinole Police Department grew from one famous, ticket-writing motorcycle cop to a professional, modern police force. Read about the three officers who paid the ultimate sacrifice for this community when they took on violent criminals. The new Pinole Police History page is full of great, colorful stories and fun pictures! You will feel like you’re walking through time!